Awesome Friday! » Blog Archive The Magic Kingdom takes another step towards complete cultural dominance: Disney/Fox merger is approved. - Awesome Friday! According to The Hollywood Reporter the $71.3 Billion deal between Disney and Fox to merge has been approved by the shareholders of both companies. 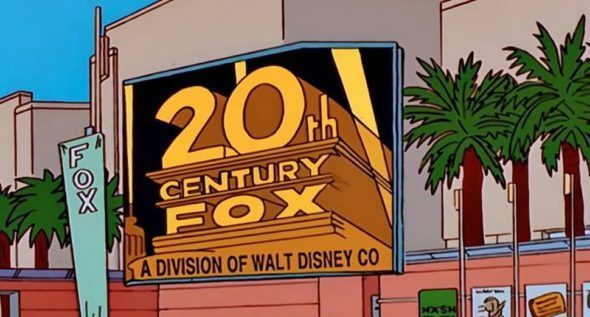 Under the deal Disney will acquire the Fox movie and TV studios, FX, Star India, Nat Geo, the 30% of Hulu that Fox owns, and the 39% of Sky that Fox owns. On the one hand this puts creative control of X-Men in the hands of Marvel, so maybe those universes will merge (or more likely one will absorb the other). It gives the distribution rights to Star Wars back to Lucasfilm, so maybe we’ll get a non-special edition release of the original trilogy finally. Also, one of my favourite shows, It’s Always Sunny in Philadelphia is now technically a Disney property, which is just downright weird. On the other hand this move is almost certainly going to result in hundreds of jobs being lost as any duplication will likely be eliminated. It will also probably eliminate a whole bunch of movies every year, as not only will Disney and 20th Century Fox be working together, but Fox Searchlight won’t be competing with Disney or Touchstone anymore. It’s in Disney’s interest to have fewer films released each year so that the films they do release will be in theatres longer and I imagine that is exactly what will happen. Those movies that Searchlight and Touchstone don’t pick up (and Disney already releases basically no movies through Touchstone every year) will be left to the remaining competitors, and those competitors will almost certainly not pick them all up. Look, I’m as excited as anyone for the nerdy stuff here, but this merger is a big deal and will have a lot of negative repercussions through the film industry. It may take some time for them all to take effect, but they will take effect. Basically we’re on step closer to Disney being Taco Bell in Demolition Man with this merger. Or, if you prefer, we’re one step closer to the movie industry in a Coke/Pepsi situation, and that’s not good for anyone involved (except Disney shareholders).